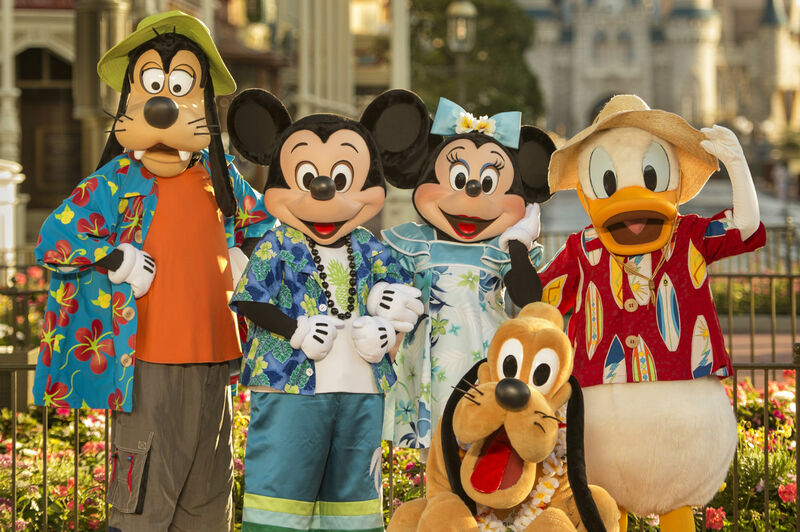 Some people save up for years to meet Mickey and friends at the resort's four enchanting theme parks, two water parks and Downtown Disney. But with so much to see and do at the 40-square-mile resort, it can also zap a family's energy and finances. A family vacation to Walt Disney World in Florida can be a magical experience. 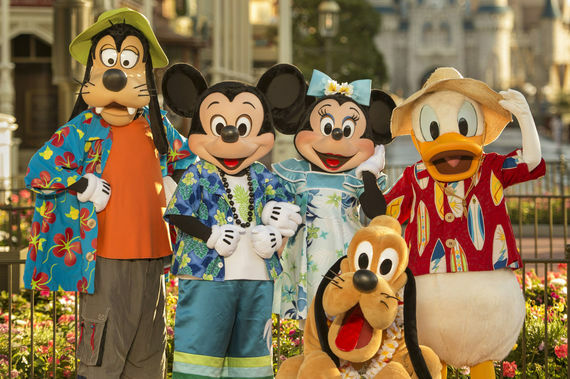 Some people save up for years to meet Mickey and friends at the resort's four enchanting theme parks, two water parks and Downtown Disney. But with so much to see and do at the 40-square-mile resort, it can also zap a family's energy and finances. The planning process itself can be overwhelming. But it's important to have a plan in place to efficiently visit the parks and make the most of your time and budget. Once your trip is booked, you can make dining reservations and schedule FastPass attractions at MyDisneyExperience.com. You can also personalize your family's MagicBands (available in seven colors), which are used to access your room, theme parks and FastPass attractions. The wristbands are sent to your home prior to your visit. They're also available in gray at the hotel. The Walt Disney resort has 36 resort hotels from value to deluxe. Free public transportation and Extra Magic Hours (more time in the parks) are among benefits to staying at an onsite Disney resort. Buses, monorails and water taxis connect to resorts and theme parks. Offsite hotels typically offer lower rates and/or more bang for buck. There are five value themed hotels on site - Disney's Pop Century Resort, Disney's All-Star Movies Resort, Disney's All-Star Sports Resort, Disney's All-Star Music Resort, Disney's Art of Animation, and one campground, The Campsites at Disney's Fort Wilderness Resort. These accommodations start at $85 a night. Disney's Pop Century Resort is a pop culture-themed resort that features rooms for families of 4, pools, a children's playground, jogging trails and an arcade. Disney's Art of Animation Resort, on the other hand, features Disney-themed standard rooms that fit 4 people, and family suites that can accommodate up to 6 adults, a kitchenette and small dining area, and a small living room so families can spread out and enjoy the tiny comforts of home. For fun outside the theme parks, the resort has largest resort pool in Walt Disney World Resort that features underwater speakers and Finding Nemo decor, two more pools and an interactive water play area. The Campsites at Disney's Fort Wilderness Resort, situated on 750-acres of pine and cypress forest, has sites for both tents and RVs with full hook-ups that offer views of woods and sleep up to 10 people. Amenities in the grounds include pools, archery for ages 6 - 9, canoes and wagon rides. There are also five moderate hotels in the resort that offer mid-range accommodation rates for families. They are Disney's Port Orleans Resort - French Quarter, Disney's Port Orleans Resort - Riverside, Disney's Coronado Springs Resort, Disney's Caribbean Beach Resort, and The Cabins at Disney's Fort Wilderness Resort. Disney's Coronado Springs feature Casitas, rustic Ranchos and beachfront Cabanas that encircle a 22-acre lake with a walking path. Pools, including a Mayan ruins-themed aquatic park, and evening campfires round out family fun. Disney's Port Orleans Resort - French Quarter offer amenities that include a Mardi Gras-themed pool with slide, several restaurants and water taxis to Downtown Disney. On-site deluxe accommodations (resort hotels and villas) at the resort are available for those families looking to splurge in luxury during their Disney World vacation. The deluxe hotels are Disney's Wilderness Lodge, Disney's Contemporary Resort, Disney's Polynesian Village Resort, Disney's Grand Floridian, Disney's Old Key West Resort, Disney's Animal Kingdom Lodge, Disney's Yacht Club Resort, Disney's Boardwalk Inn, Disney's Beach Club Resort, and Disney's Saratoga Springs Resort. The deluxe villas include Disney's Animal Kingdom Villas - Jambo House, Disney's Boardwalk Villas, Disney's Animal Kingdom Villas - Kidani Village, Disney's Polynesian Villas & Bungalows,The Villas at Disney's Wilderness Lodge, The Villas at Disney's Grand Floridian, and Disney's Beach Club Villas. Disney's Polynesian Resort is a tropical-themed resort featuring koi ponds, white sand beaches, luaus and a children's activity center for ages 3 - 12. Transportation to parks include a monorail and water taxis. Disney's Animal Kingdom Lodge is a family favorite with its African safari decor, rooms and suite to accommodate small and large families, on-site restaurants that serve African cuisine, several pools with waterslides and whirlpool spas, and of course the over 30 species of African wildlife, including zebras, giraffes, gazelles, kudu and flamingos roaming its grounds. Several hotels located in Disney World are not owned by Disney but typically offer good value as well as many Disney perks. Starwood's Walt Disney World Dolphin and Walt Disney World Swan Resorts are both located near Epcot and Disney's Hollywood Studios. These resorts - which share a pool complex - have access to the entire official Disney transportation system. However, guests cannot charge items in the parks to their room or ride Disney's Magical Express bus. 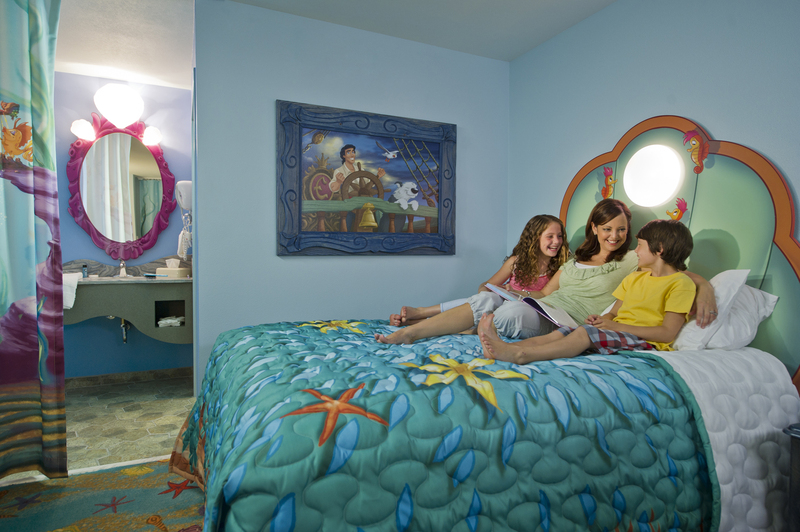 Buena Vista Suites is fantastic option for off-site accommodations for a Disney World vacation. Located less than two miles from Disney's gates, the resort offers a free All American Breakfast, free parking and no resort fees. Rates from $94/night. Disney's Magical Express. 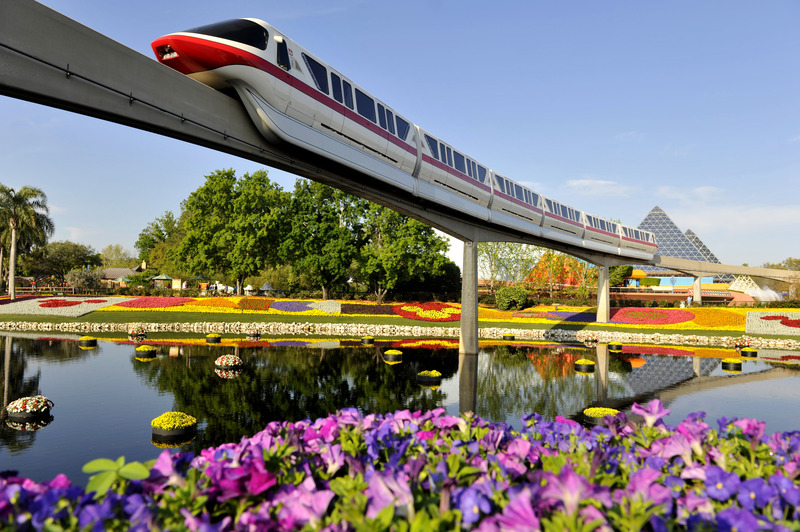 Start and end your stay with complimentary motorcoach transportation to and from Orlando International Airport and select Walt Disney World Resort hotels. Magic Kingdom. Similar to Disneyland, the park is divided into six themed lands. Disney World's recently expanded Fantasyland includes the Seven Dwarfs Mine Train, a family-friendly coaster similar (in terms of drops and speed) to Big Thunder Mountain Railroad. Animal Kingdom. Home to about 2,000 animals, the park features DinoLand, Africa, Asia and Discovery Island. Top attractions at this park include Kilimanjaro Safaris, a ride through a savannah filled with animals in the wild, and Expedition Everest, a roller coaster that runs backwards. Epcot. The iconic Spaceship Earth geodesic sphere greets visitors to the park, comprised of two distinct areas. Future World features evolving technology and thrilling rides such as Test Track and the gentle Spaceship Earth, which explores the history of communications. World Showcase is comprised of a kaleidoscope of nations complete with authentic architecture, food and entertainment. The nightly fireworks show, IllumiNations: Reflections of Earth, explodes over a 40-acre lagoon. Stake your viewing spot early! Hollywood Studios. 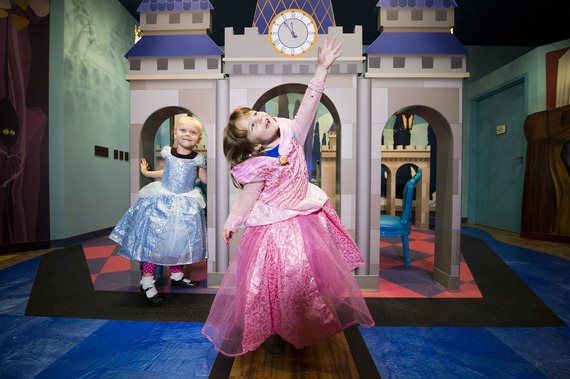 Seven themed lands immerse guests in the glamour of show business. Learn how movies are made, see live stunt shows and train to become a Jedi warrior. Blizzard Beach. Escape the Florida heat on water slides and rafts that dump into pools at this ski resort-themed water park. Typhoon Lagoon. Thrilling water rides and one of the world's largest surfing lagoons highlight this water park. Snorkel amidst colorful fish, coral and plant life at Shark Reef. Prices vary depending on how many parks you visit and the length of your stay. One-day Magic Kingdom base tickets are at $105 for ages 10 and older and $99 for ages 3 - 9 each. The more days you visit, the less you pay per day - if you purchase a two-day base ticket, for example, you pay $192 for ages 10 and older and $179 for ages 3 - 9. That's $9 cheaper per day! Park hopper passes, for an additional $50 per ticket, give you access to the four parks in a single day. One adult, four-day hopper: $393. Water Park Fun & More Option, which costs an additional $64 per ticket, offers a certain number of visits to select Disney World destinations, including the water parks. Downtown Disney is a destination in itself. Shopping, dining and live entertainment are expanding as the area transforms into Disney Springs (expected to be completed in 2016). The three award-winning golf courses - Disney's Lake Buena Vista, Magnolia and Palm, treat golfers to world class facilities, while families can challenge each other at Disney's nine-hole Oak Trail Golf Course. Summer is peak season, but the weather is hot and crowds are high. Spring time (except Easter week) is best to visit Disney World when spring breaks vary among schools. Disney offers various deals year-round. Dining at Disney is expensive. It's easy to spend over $100 on a family lunch in the parks. Consider buying a Disney Dining Plan, which includes some meals and snacks. Cost varies depending on dining plan, guests' ages and length of your vacation. Make reservations as early as possible (up to 180 days) for popular restaurants, especially those with character dining. You can save a few bucks at counter service. Try Casey's Corner in Magic Kingdom and La Cantina de San Angel in Epcot. Seasonal food offerings bring value. For example, during Epcot's annual International Flower and Garden Festival, small, tasty meals cost around $6. You can also cut dining costs by bringing your own breakfast items (cereal, bagels and granola bars) and shopping for drinks, sandwiches, fruit and snacks at resort markets and food courts.